Nike’s incessant drive to push creative limits has resulted in their partnership with the New York based creatives at HUSH and Portland based architecture firm Skylab for the creation of "Camp Victory" at the Olympic Running Trials in Oregon. HUSH says that the evolution of the camp took eight solid months from start to finish. 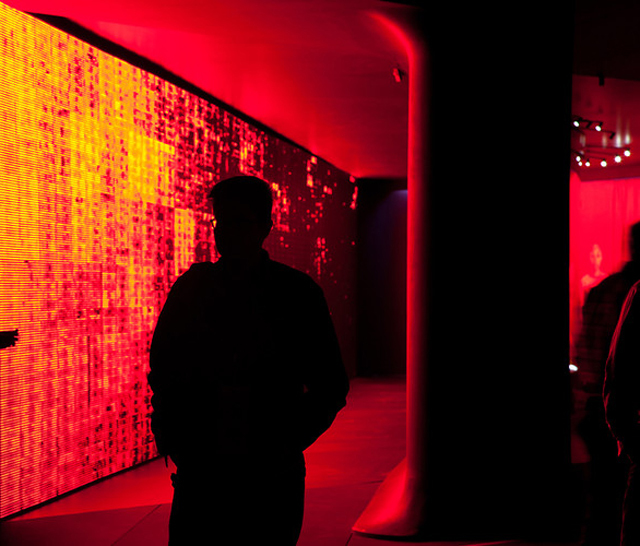 "We’ve built a world’s fair size physical/digital experience that focuses on playful competition, deep sensory experiences, powerful visual design and information display," the team explained. The temporary exhibition space for the Olympic Trials is located on Hayward Field at the University of Oregon in Eugene, where an interactive hodgepodge of light, colors, shapes, and technology come together to celebrate the sport in a built experience for runners and fans. The exhibition is broken down into four main areas - one is a retail store, while the others are three-story, triangle-shaped pavilions that are boldly lit up at night. 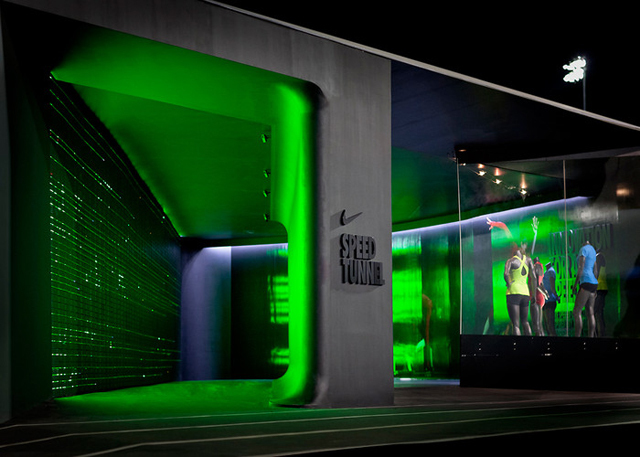 Each of the three pavilions are showcasing Nike's newest products such as their new track suit technology, Nike Plus, and the Lunarglide (which is Nike's innovative new running shoes). 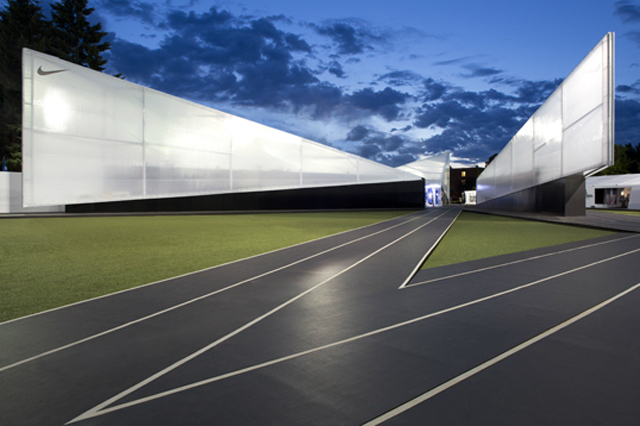 The camp is a creative place to learn and experience the A to Z's of the latest in running technology, all under the umbrella of Nike's brand, culture, and community!